Do you ever do battle with feeling unfulfilled? This Bible study lesson accompanies the dynamic video illustration, Life of Mary Part 4: Unfulfilled/Fulfilled and takes a look at issues surrounding the emotions of this struggle. 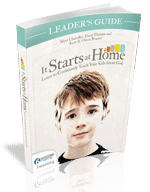 Use this excellent resource to lead your small group through the Bible Study.